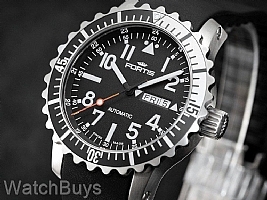 This Fortis watch highlights their expertise in building professional grade watches with high functionality. 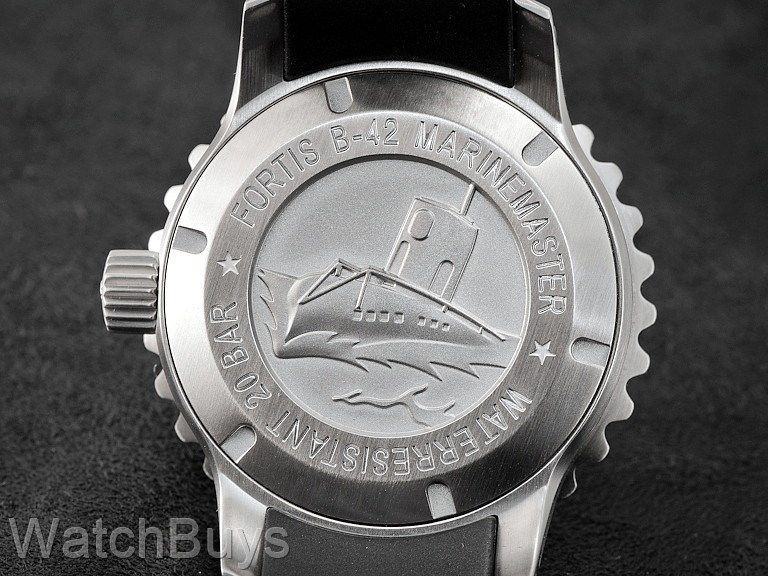 Unlike most marine watches, the bezel of the Fortis Aquatis Marinemaster Classic features large knurled lunettes which offer an easy to grip surface - even when wearing gloves. This watch sports a matte black dial with large white Arabic numerals, giving this piece supreme readability. The watch also utilizes white sword-style hour and minute hands and an orange second hand complete with luminous pip for increased legibility. 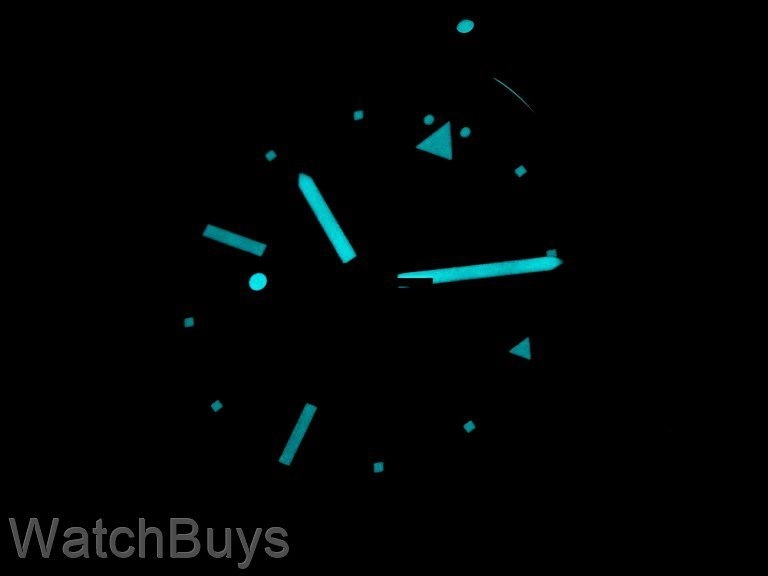 As an added benefit, this watch also features a day/date display at the 3 position with the day display in either English or German (you change the settings through the crown). The day of the week and date are set against a white background for added contrast with the matte black dial. Notice the two white triangles on either side of the day/date display. These triangles are not decorative – they actually indicate how to set the day and date. Using the second crown position, turn the crown clockwise to set the date and counter-clockwise to set the day. This watch is fitted in a satin finished case and screwed case back. 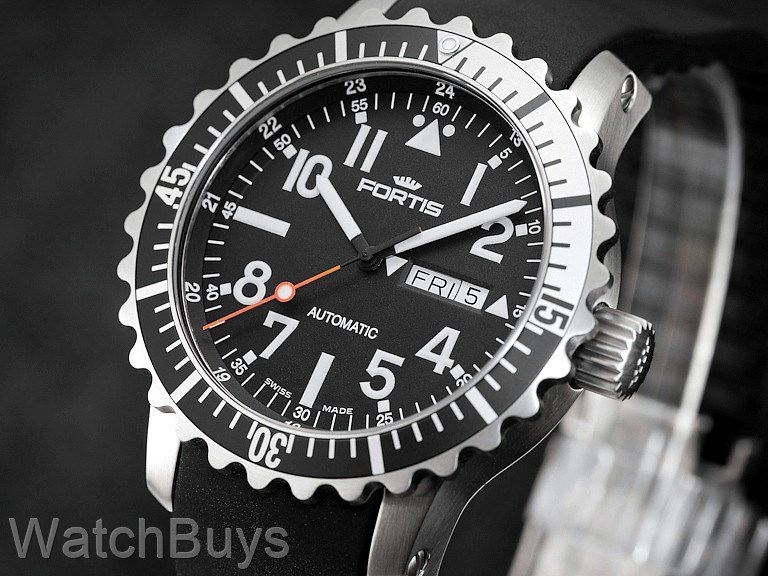 The large crown is designed for ease of use and is finished with an engraved Fortis logo. 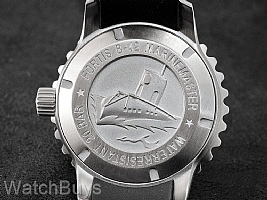 The final touch can be seen on the case back itself which features a traditional submarine motif which can be found throughout the Marinemaster collection. 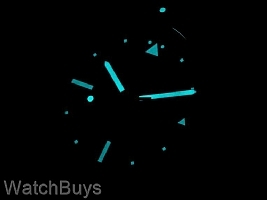 This watch is fitted with a black silicone rubber strap and diver style deployant buckle with micro adjustments.